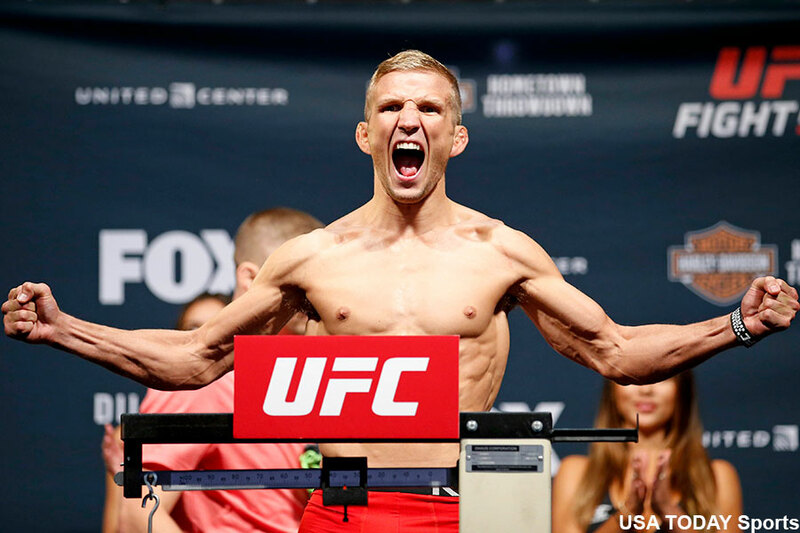 All the fighters slated to participate in tomorrow night’s “UFC Fight Night 81: Dillashaw vs. Cruz” event tipped the scale Saturday inside Wang Theatre in Boston, Massachusetts. The first athlete is scheduled to weigh-in at approximately 4PM ET/1PM PT. Bantamweight champion TJ Dillashaw (pictured) looks to cement his status as the game’s top 135-pounder by battling former champ Dominick Cruz in the night’s main event. Former UFC lightweight champ faces Eddie Alvarez in the co-featured bout.